Volunteers Wanted! Have You Considered Becoming a Big Brother or Big Sister? Are you interested in making a difference in the life of a child, but haven’t been able to find the time or the right fit? 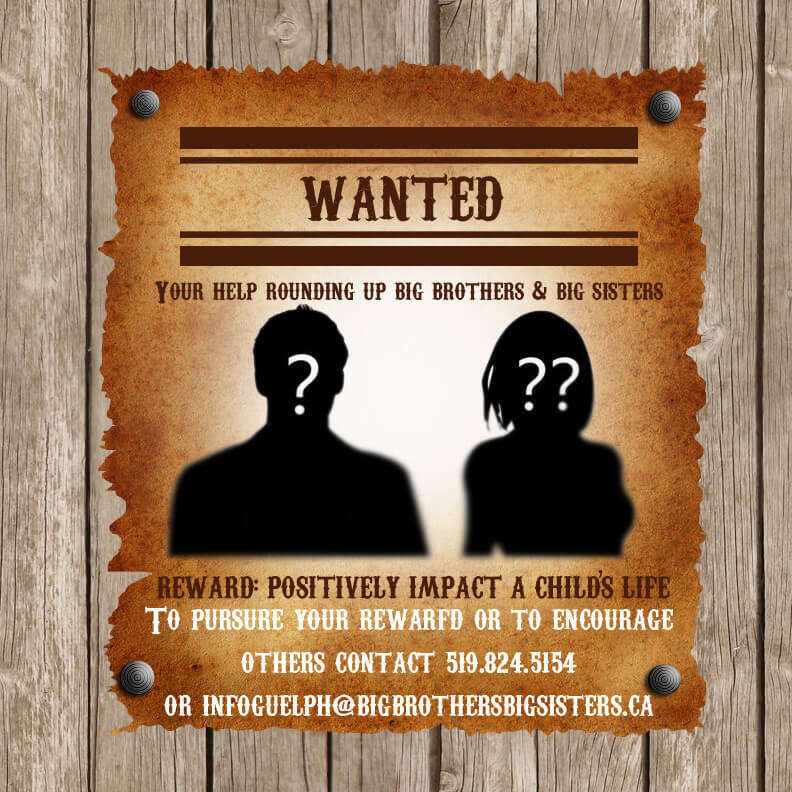 Big Brothers Big Sisters of Guelph could be your calling! As the 2018-19 school year approaches, our charity is in great need of volunteers across all programs. From our community-based one-to-one and Big Bunch group programs to our In-School Mentoring and School-Based Group programs, which take place in schools around Guelph, our need is greater than ever. Learn more about our programs and determine which one is best suited to your needs, schedule, availability and interests. With more than 100 children in Guelph eagerly waiting to be matched with a Big Brother or Big Sister, the time to get involved is now! If you have any questions not addressed on the Mentoring Programs web pages or would like more information, please don’t hesitate to contact us! When you’re ready to submit your inquiry to become a volunteer, click through the “VOLUNTEER” tab at the top of this page. We hope you’ll join our BBBSG movement as we work together to ensure that Every Child in Guelph Who Needs a Mentor, Has a Mentor. Start making a difference today!